But the hospital got out on a motion to dismiss, finding the surgeon’s testimony to be conclusory. Under Minnesota law, an affidavit in support of a medical malpractice case must identify the expert who will testify, the substance of that testimony, and provide a summary of the basis for the expert’s opinion. Failure to provide these things mandates dismissal with prejudice. The surgeon’s testimony ran afoul because it jumped to the conclusion that there was negligence rather than explaining the how and why in the chain of events that resulted in death. The district court found that because the cause of death was unknown (the surgeon gave three likely scenarios) that is was impossible to conclude that specific earlier medical attention would have prevented death. The appellate court found this court assumption to be erroneous. For personal injury lawyers, the take home message is clear: don’t take a case unless you know how to get an expert’s testimony in at trial. 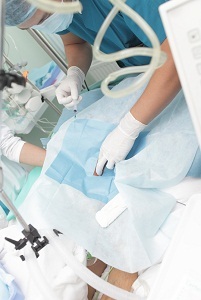 A medical malpractice case is just not like any personal injury case. I hate to say this but the plaintiffs may have a legal malpractice case they should consider investigating.